Find out how you can bring your device budget down to a predictable price-per-device payment that covers all of your devices with consistent refresh cycles. 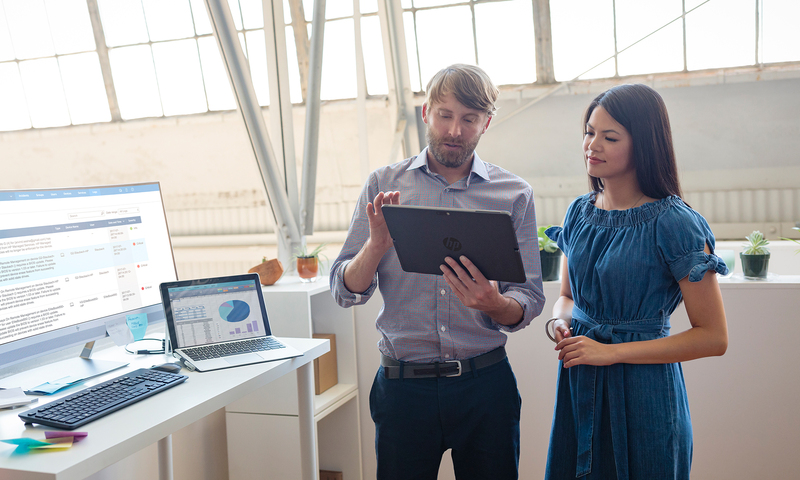 Using HP’s Device as a Service (DaaS) with proactive management, you’ll be able to understand, manage, and protect your IT environment like never before. Round out with CTComp services to configure, deploy, optimize and maintain for a complete solution as a service! As your Technology Partner, we are personal, accountable, technical and strategic. Helping customers grow their businesses with digital strategy, analytics, website design, application integration and process automation. Providing IT infrastructure solutions that are secure, flexible, scalable, manageable and hybrid cloud. Our support is customized, prioritized, proactive, conclusive and contractual. Helping customers design, budget, procure, execute, manage projects and manage their technologies! Technology innovation that fosters business transformation. We Are In the Acceleration Business. We help customers use technology to slash the time it takes to turn ideas into value. In turn, they transform industries, markets and lives. Some of our customers run traditional IT environments. Most are transitioning to a secure, cloud-enabled, mobile-friendly infrastructure. Many rely on a combination of both. Wherever they are in that journey, we provide the technology and solutions to help them succeed.